Introducing the Souls of Mischief x Carhartt Limited Edition Box-set. 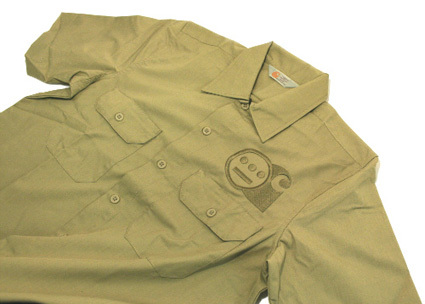 The package includes a copy of their 2010 album ‘Montezuma’s Revenge’ repackaged in a special black foil embossed housing & 8 page booklet, a Spring / Summer 2010 Master Shirt in Leather with breast embroidery, a Chenille Varsity Patch in Carhartt Duck Brown and a selection of A6 size foil stickers. This Box-set is an edition of only 200 worldwide which we are officially dropping Monday 15th March at The Carhartt Store, Neal Street. Souls of Mischief themselves will be in attendance for a signing session from 7pm. See you there! The limited Box Set has been designed and manufactured by Alex Russel ( Carhartt UK ) and will be released today!